There is no approval requirement ladder accessories like the Ladder-Aide. For a complete list of the type of products requiring NRTL approval, click here. The Ladder-Aide and Ladder-Aide Pro are designed to provide a stable, level, and secure base for ladders on stairs, when used in compliance with all related ladder safety guidelines such as those provided by OSHA and the ladder manufacturer. • Only use ladders and appropriate accessories (ladder levelers, jacks or hooks) for their designed purposes. • Use a ladder only on a stable and level surface, unless it has been secured (top or bottom) to prevent displacement. 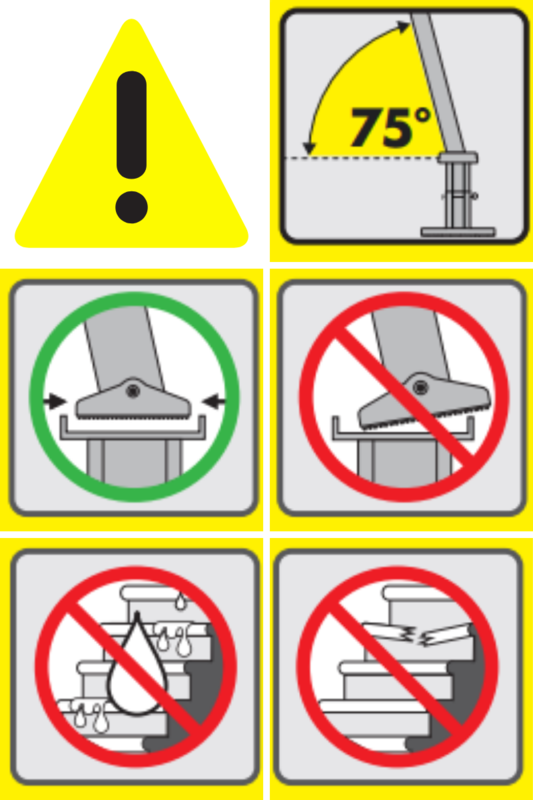 • Do not place a ladder on boxes, barrels or other unstable bases to obtain additional height.